Hyperbole will flourish in the springtime as the nation commemorates the 50th anniversary of a butcher wielding his knife; the deeds of a mad axeman. Brought in from ICI to stem the railway’s haemorrhaging losses, Richard Beeching’s initial proposals emerged in March 1963, accelerating the contraction of the network seen through the 1950s. Appendix 2 of his report listed five-and-a-half pages of line closure recommendations, representing about 6,000 route miles, although a fair proportion was ultimately reprieved thanks to vociferous campaigning. 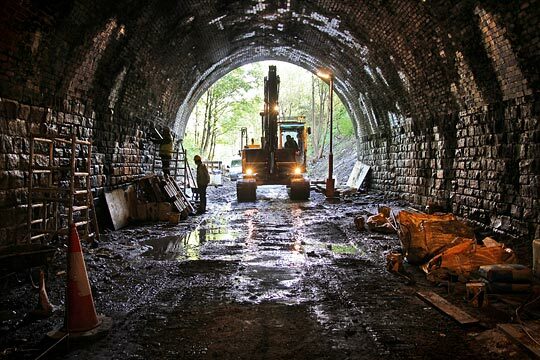 The eastern end of the tunnel suffered from considerable water ingress prior to the repair works. 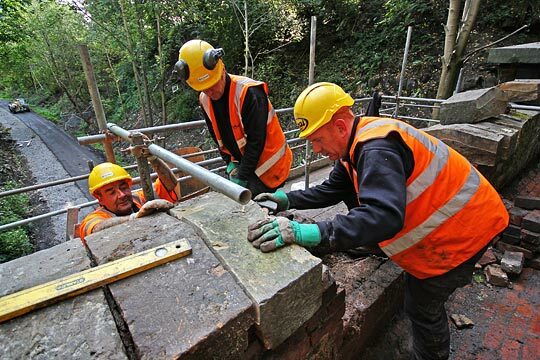 Due to root damage, a section of the east portal’s parapet had to be rebuilt. Spalled stonework is broken out of the north sidewall. 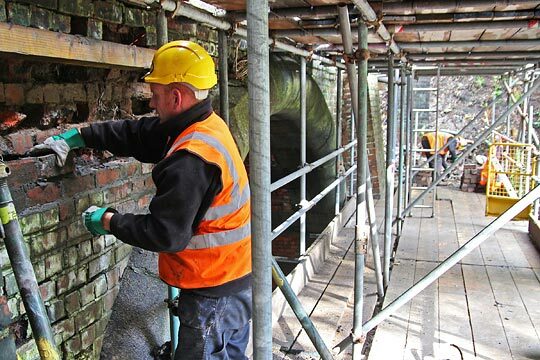 Repair work on one of the spandrel faces. A concrete saddle is poured above the west portal, incorporating a filter drain. 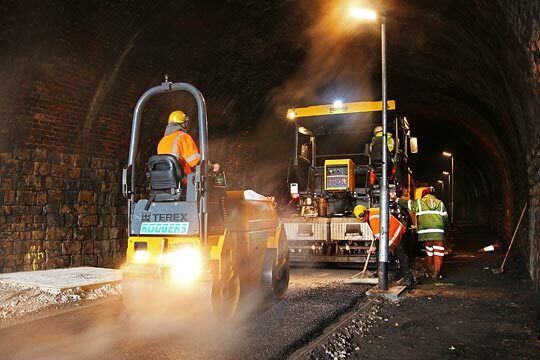 The cycle path's tarmac surface is laid through the tunnel. 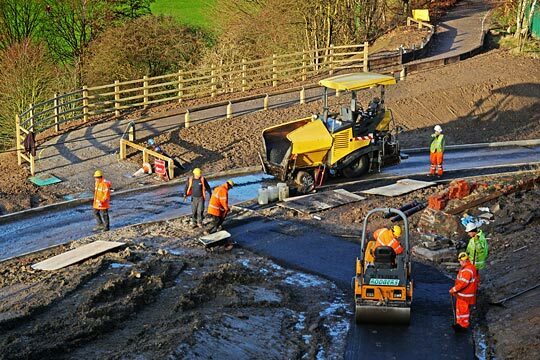 16th January will bring an official opening for the new section of path. The Council’s attention will then turn to a 600m missing link between the site of Earlsheaton’s former station and the local authority boundary, beyond which the Greenway has already been laid by Wakefield Council. 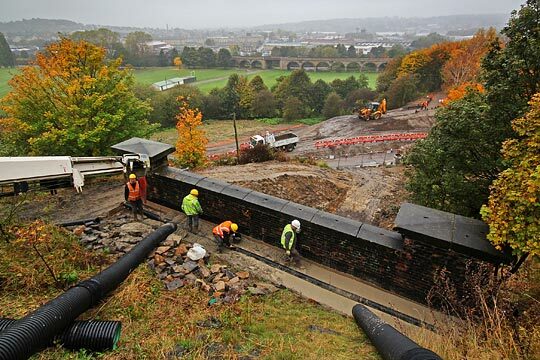 The approaches to the tunnel will improve aesthetically when the scattered grass and wild flower seed disguise the bare verges, but users have already been enjoying the Greenway in numbers, welcoming the local connectivity it brings. With backfilling work complete over Preston Street’s old alignment, the path could be laid towards the kerbs of its new one.